Mounting economic hardship is fueling persistent unrest in Iran, now characterized by labor strikes across the country and anti-regime sentiment. New sanctions stemming from President Trump's decision to withdraw from the nuclear deal may well exacerbate already difficult economic conditions. Now may be the right time to exert maximum pressure on the regime in an effort to bring Tehran back to the negotiating table. Last December and January, demonstrations flared across Iran. It began in Mashhad over rising prices and the overall poor state of the economy, but quickly spread across the country with demonstrators increasingly focusing their wrath on the clerical regime. Protests have continued as workers staged hundreds of strikes across the country, from Tehran and Tabriz in the north, to Isfahan and Yazd in the center and Ahvaz in the south. Grievances are both economic and political, ranging from unpaid wages and massive layoffs to ethnic marginalization, and regime censorship. Many of the ongoing protests continue to be driven by religious, working-class Iranians, heretofore the foundation of regime support. The nuclear deal was supposed to ease Iran's international isolation and stimulate foreign investment, but corruption, economic mismanagement, a problematic legal framework and ongoing U.S. targeted sanctions have dampened international business interest. Unemployment and inflation is high, the banking sector is weak and many Iranian businesses are finding it difficult to operate. The Iranian economy is increasingly fragile, driven in part by a currency crisis due to an inability to attract major banks into the country. Unemployment and inflation is high, the banking sector is weak and many Iranian businesses, particularly those engaged in import and export, are finding it difficult to operate. Moreover, new draconian sanctions will exacerbate economic hardships by restricting foreign investment and limiting Iran's ability to export oil. Major firms such as Boeing, Airbus, Total and Siemens have indicated they are monitoring the situation, but will almost certainly comply with new U.S. sanctions, barring exemptions. While the persistent, simmering unrest is largely fueled by economic hardship, protestors have directed their anger at the ruling elite, plunging the regime into a legitimacy crisis. Chants and slogans of striking workers, such as “Down with Khamenei” and “Islamic Republic, no more, no more" reveal that anger is increasingly directed against Supreme Leader Ayatollah Khamenei and the Islamic ruling order. 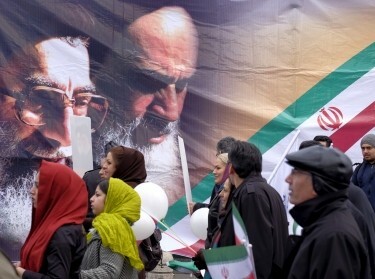 Notably, protestors have chanted “independence, freedom, Iranian Republic” which parallels the popular 1978–79 revolutionary slogan, “independence, freedom, Islamic Republic.” Prominently swapping Islamic for Iranian highlights mounting discontent with theocratic rule. This toxic mix of sanctions and anti-regime sentiment portends ongoing unrest, stepping up the pressure on a regime that has been unable to deliver on promises of an improved economy. Indeed, the clerical regime is increasingly vulnerable. Labor strikes and unrest were a hallmark of the pre-revolutionary period. In particular, oil workers played a key role in the downfall of the shah. Tens of thousands of workers in the oil fields of southwestern Iran and in the refineries, distribution centers and offices of major cities began to strike in September 1978, and the unrest continued until February 1979, essentially paralyzing the state. Undoubtedly aware of the threat to the regime, President Hassan Rouhani has stated Iran will continue to abide by the nuclear agreement as long as its interests are protected and the other five signatories — the U.K., France, Germany, Russia and China — do the same. To this end, Tehran has begun a round of negotiations to shore up the deal. 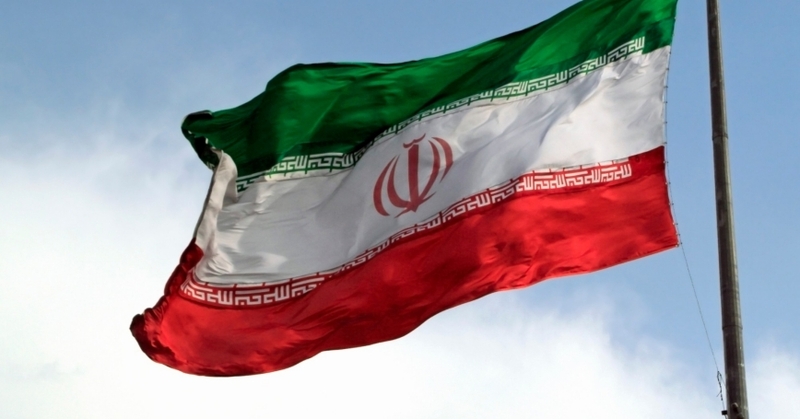 Iran's goals are to avoid a new round of broad-based, draconian economic sanctions and to isolate the United States from its European partners. Indeed, the three European signatories to the nuclear agreement are key. The Trump administration could launch a concerted diplomatic campaign aimed at garnering their support for new sanctions and forcing Tehran into a new round of negotiations. Any new formula could address shared concerns, namely limiting Iran's ballistic missile program, ensuring inspector access to military facilities and addressing Iran's malign and destabilizing activity in the region. However, points of contention, such as eliminating the nuclear deal's sunset clause may be harder to overcome. 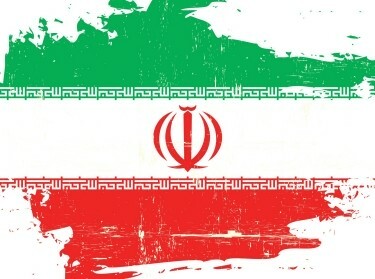 Nevertheless, given the Iranian regime's economic and political vulnerabilities, this new pressure would be well-timed and has the potential to force Iran back to the negotiating table. Concerted pressure from the U.S. and its European allies could pressure Iran into negotiating a new agreement. Tehran has been adamant that it will not re-negotiate the nuclear deal, but concerted pressure from the United States and its European allies could pressure Iran into negotiating a new agreement. This is a high-risk strategy, however, which warrants a word of caution. Insights into the internal situation in Iran are limited, and it remains unclear where any new pressure might lead. The re-imposition of draconian sanctions could lead to a backlash, increase anti-U.S. sentiment and bolster support for the regime. 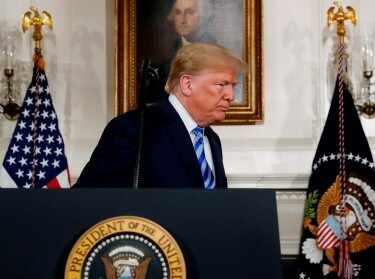 In addition, new sanctions could lead Tehran to abrogate the deal and jump start its nuclear program with all the risks this move would bring. Finally, maximum pressure could lead to regime collapse. It is hazardous to predict the downfall of any regime, and the Islamic Republic can count on robust security organizations, including the Islamic Revolutionary Guard Corps, that, at least currently, remain loyal. Indeed, the security forces will be a bellwether of regime sustainability. Nevertheless, the regime appears fragile, and the situation could unravel with little warning. Regime change is an unpredictable business, as Iraq in 2003 demonstrated. The United States would be wise to prepare for substantial unrest and potential regime collapse, which, if mishandled, could exacerbate instability in an already chaotic Middle East. Richard C. Baffa is a senior international/defense policy researcher at the nonprofit, nonpartisan RAND Corporation. Nathan Vest is a research assistant and Middle East specialist at RAND. This commentary originally appeared on The Hill on May 18, 2018. Commentary gives RAND researchers a platform to convey insights based on their professional expertise and often on their peer-reviewed research and analysis. Alireza Nader, Ali G. Scotten, et al.